Standing in a hilly, muddy field on a slightly soggy Saturday could mean only one thing … cross country. 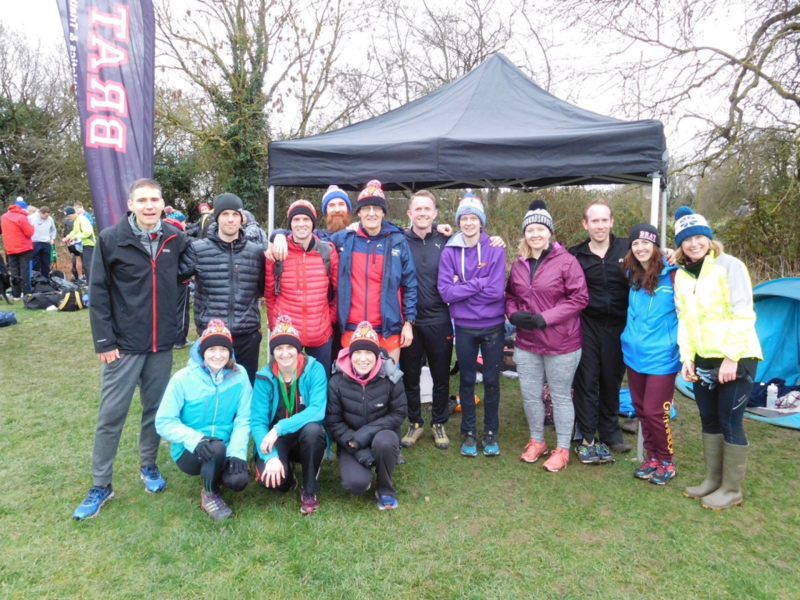 This time Team BRAT were up against the best runners and clubs in the Midlands for the regional cross country championships. The familiar venue of Newbold Comyn in Leamington saw the return of the dreaded ditch along with a new route taking in the many hills of the golf course. It was going to be tough! The women’s race, covered a two lap course taking in the ditch and a couple of big climbs each lap. 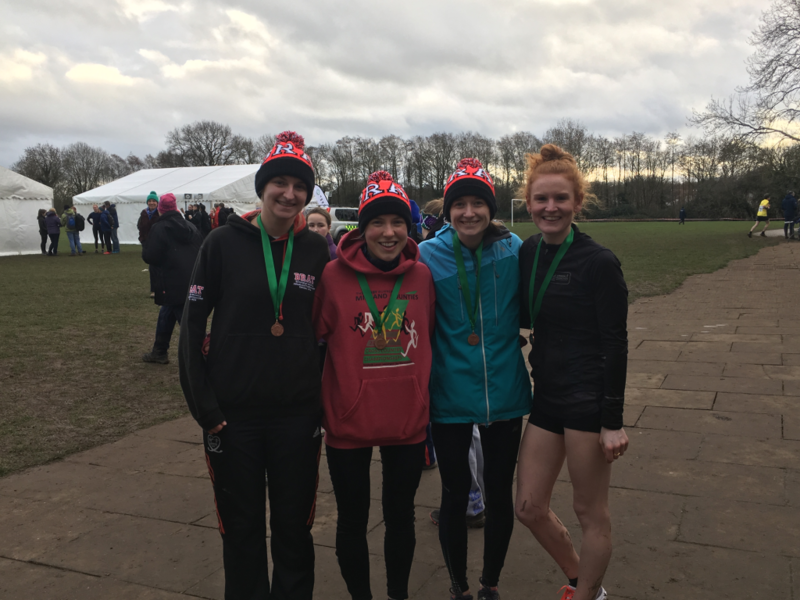 Despite a slightly depleted team due to injury and illness, with a brilliant XC season so far we had set our sights on an ambitious top 5 team finish. The news that one of our potential scorers was stuck in traffic was far from ideal. Start time and still no sign, we left their number with the men and as we toed the line just hoped for the best. The gun sounded and off we went! The race went out hard and never relented. Working up the first hill, Anne and Molly were closely followed by Eloise when news shouted from the side-line told us Annie had made it, she was in the race (thank you Martin). Right, game on! Heads down, we just had to run as hard as we could to aim for that top 5 finish. Every place counted! The front of the race had quickly opened up, during the first lap Molly moved into fourth place but the top three were running clear. Anne closely followed in a small group making up the top 10, with Eloise running well and Annie rapidly moving through the field as our third and fourth scorers. The team was backed up by Sophie, Rachel and Hannah who were all having brilliant runs to show the strength and depth of the team. Onto lap two, how had the hills got bigger?! Time to dig deep, and give everything on the final lap. The cheers and encouragement from the BRAT men and supporters was much needed as legs were tiring and the desire to finish growing. Taking on the ditch for the final time, less than a mile to go. Molly had been gaining ground over the second lap, but couldn’t quite close the gap to third in the finishing straight, in 4th place she eagerly awaited the rest of the team to cross the line. Soon enough Anne stormed to a brilliant 9th place holding onto her top-10 finish. Annie, despite starting 20 seconds after the gun, finished a fantastic 23rd. We kept our eyes on the finish line, seeing clubs get two, three scorers over. Bristol & West had clearly won with their four scorers closely packed, but Leamington, Cheltenham, Birchfield and Stoke were looking strong for the top 5. Their fourth scores came in, followed by Eloise with a gutsy run to secure our team spot – we calculated at a guess we had just done enough for 5th place. Hoping we had met our target we happily went to layer up and cheer on the other ladies, very proud of what we had achieved. Runners were finishing thick and fast by this point, Rachel was next in for BRAT in a brilliant 148th and Sophie hot on her heels in 155th, Hannah was next in 238th – with all BRATs home in the top 250 it had been a fantastic run for the whole team. 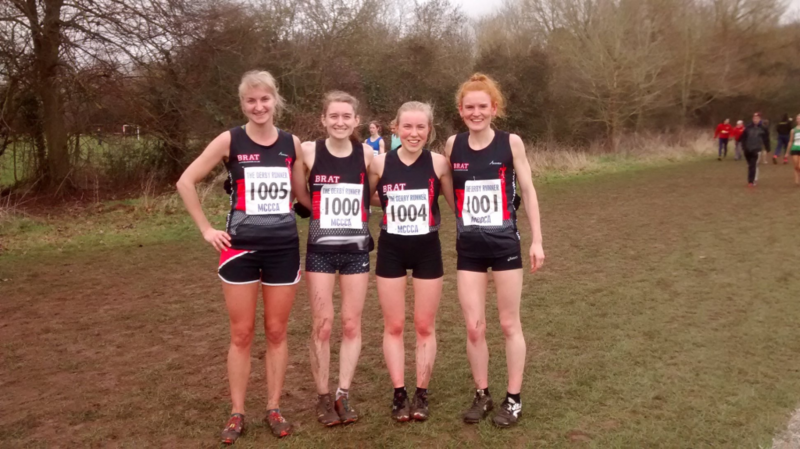 Rachel, Sophie and Hannah had also never run in the Midland Championships before, so a massive well done to them in a tough race! With a wait before the men’s race, it was all about keeping warm and going for a very slow warm-down. Before taking our cheering positions at the top of the hill, we grabbed a copy of the results to check that team position. Much to our surprise we hadn’t just come in the top 5 but we had managed to clinch a bronze medal. The scores were tight, 3 points between silver and bronze and 2 points between bronze and 4th – we couldn’t believe it. A real credit to our fellow teams, the battle for the medals demonstrates the talent and strength of clubs in the Midlands which is great to see! What a day … on an absolute high, we headed to cheer on the men who all produced brilliant runs and a 16th place finish. All in all, it was a very proud day to be a BRAT! Next: Next post: BRAT’s Stagger to Victory!